Three of Kamloops’ leading business resource organizations (Community Futures Thompson Country (CFTC), Open Door Group and Venture Kamloops) have come together to launch a collaborative entrepreneurship resource program dedicated to providing business planning, employment skills training, finance connections and access to local business resources. Local entrepreneurs can make their first point of contact at either of these three economic development supporters to receive complimentary business guidance and facilitated access to an integrated resource network. Community Futures Thompson Country’s focus is on providing entrepreneurs and business owners access to complimentary business resources, professional business counselling, start-up loan assistance, job placement, training and more. 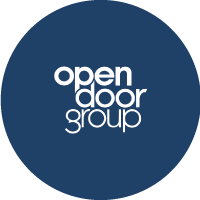 Open Door Group is a non-profit organization built on the fundamental belief that everyone has the ability to succeed. They provide tailored employment services to individuals and businesses in order to build strong workforce ecosystems and thriving local communities. 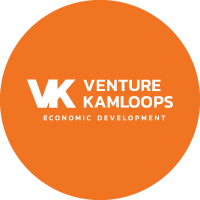 Venture Kamloops is the economic development organization for the City of Kamloops. Their mission is to give every local business the best chance to succeed and create economic growth in Kamloops. David has been working for a large outfit out of town for the last 4 years. He is ready to start his own business, so he can be home and spend more time with his family. Who can help David start his business? David would visit Open Door Group to inquire about Self-Employment services, and to determine service eligibility. David would visit Community Futures to attend orientation. Business concepts are reviewed for acceptance into “Self-Employment Services” via the WORKBC program. Mike has owned a successful seasonal tourism operation for 8 years. He is interested in expanding his business to be a 4-season operation. Who can help Mike expand his business? Mike would apply for the Start Here Program at Venture Kamloops. A program for entrepreneurs in need of financing support, who have their business/financial plans complete. Jessica helped co-found a small fashion label and managed a multitude of different day-to-day tasks including sales, marketing and production. After 5 years at the business, she is ready to start her own storefront & e-commerce business. Who can help Jessica open storefront? Jessica would visit Community Futures to attend orientation. Business concepts are reviewed for acceptance into “Self-Employment Services” via the WORKBC program. Jessica would apply for the Venture Kamloops Accelerate Program. If your business idea is built on technology, makes use tech in an innovative way, or if you’re looking to apply technology to a traditional business, a call to Kamloops Innovation is the place to start. Kamloops Innovation offers mentorship, programs, coworking and office space along with access to a provincial network of experts and resources focused on helping tech businesses start, grow and succeed.